The team has been in Tanzania for five whole days now, and we are now 100% fluent in at least twelve (Kumi na mbili) words of Swahili! 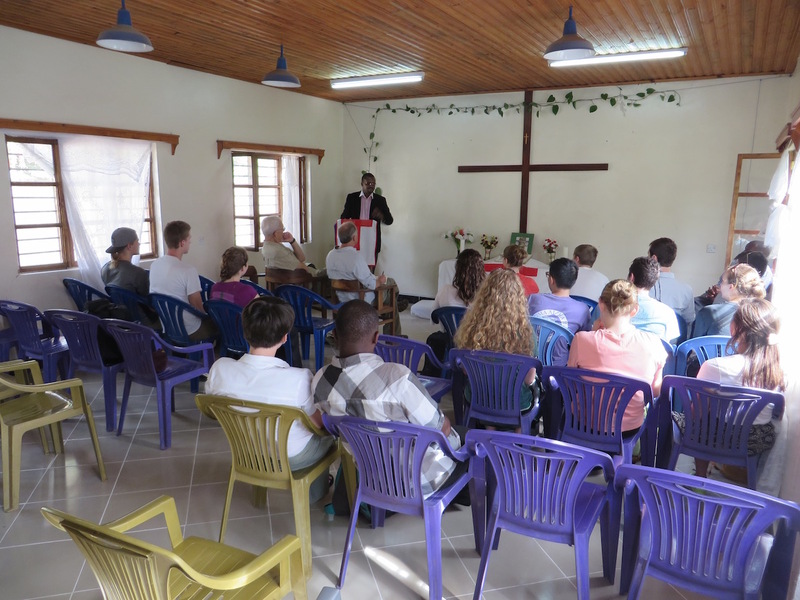 Today was an eventful day including a trip to the headquarters of the Lutheran diocese and the villiage of Lukani. The team has been in Tanzania for five whole days now, and we are now 100% fluent in at least twelve (Kumi na mbili) words of Swahili! Today was an eventful day. Here are some of the highlights. Our first stop today was the headquarters of the Lutheran diocese for the Iringa region. 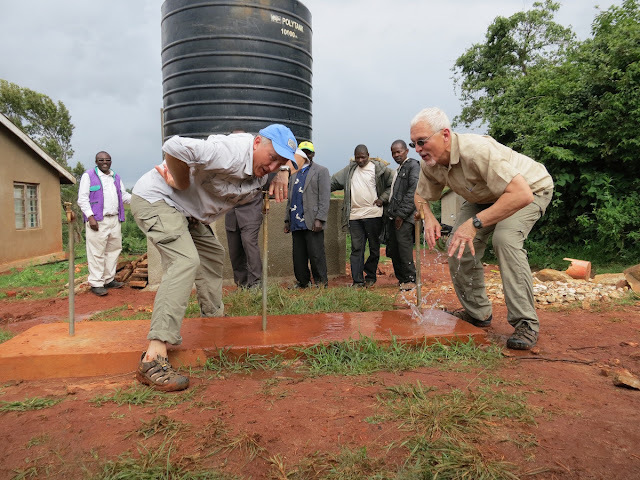 Here we learned more about the partnership between the communities in the Iringa region and the people of St. Paul Partners in Minnesota, which has made the foundation for the design projects we will be working on in the coming weeks. We also got a chance to meet with some members of the Diocese. 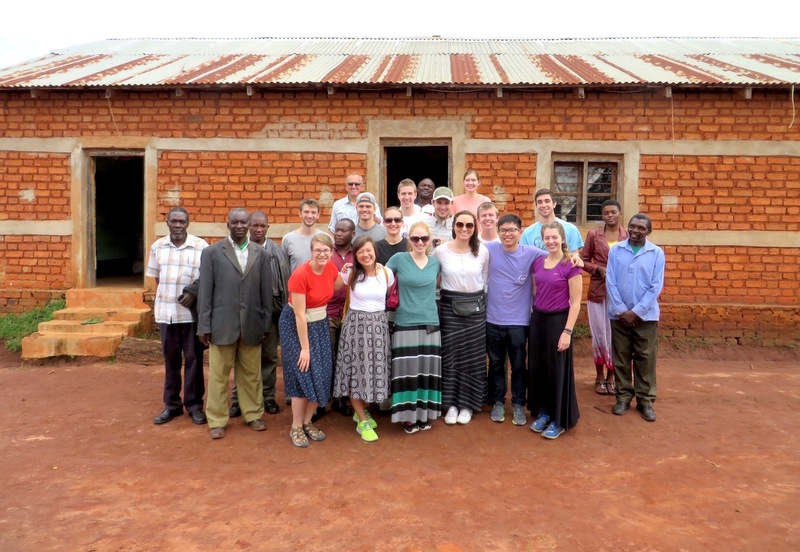 The secretary general spoke to us about culture, religion, and education in Tanzania. It was an eye opening cultural lesson! With time still left in the day, we packed up for another trip on our favorite bus and left for the village of Lukani. We have to give a huge thank you to our bus driver, Kuwah, for navigating the treacherous roads. Lukani was a one of the villages from a previous trip, and recently had it’s water system completed. The pastor was gracious enough to have us in his home before traveling to the dispensary to check on the system, learn about previous designs, and install commemorative plaques. Our fearless leaders Ken and Paul tested the water first hand. The night was finished with a fantastic dinner at Mama Iringa’s authentic Italian restaurant; continuing the streak of great food on the trip. We had a great day and can’t wait for another. Thanks for the great picture and updates. We are really enjoying following the blog and seeing some of what you are experiencing.